Something mysterious is brewing in Texas. What could Dallas, the assassination of President Kennedy, and a pink teddy bear have in common? Lainey Wells has been having dreams centered around Dallas, the assassination of President Kennedy, and a pink teddy bear. 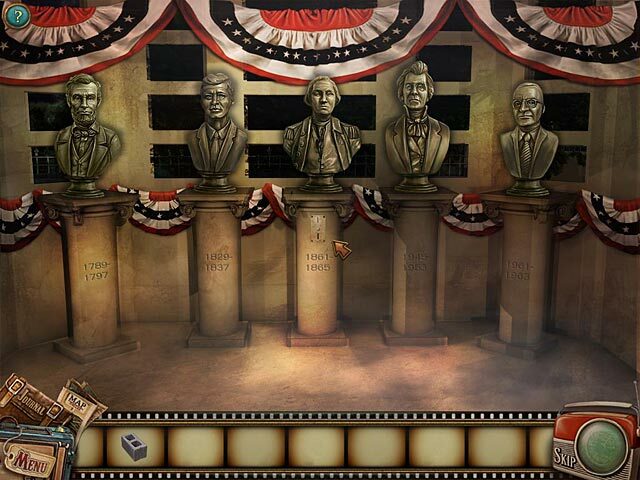 Yearning to cure her condition, she travels to Dealey Plaza to discover what ties her to the President's untimely death. It becomes clear that someone is steering her towards a specific goal, but who or what guides her hand? Lost Secrets™: November 1963 is rated 3.2 out of 5 by 36. Rated 5 out of 5 by isn11221949 from Best ever I love this game. It's a bit difficult but and needs strategy guide from time to time.. I had to stop the game cause I couldn't get to the next level without a little help. You have hints but hints can go but so far. Rated 5 out of 5 by krinneyd from Giving this a 5 star for 2 reasons, to offset the unfounded bad reviews and...... because this is a great game! It's fun, it's historical, whether it's accurate or not means absolutely nothing, it's entertaining and based only on the trial version I'm buying. I cannot for the life me understand the poor reviews. Seems some reviewers took the game personally, which I think rather strange since it in no way as I can see shows disrespect for JFK. The graphics are clear, it's challenging but the hint button is awesome at revealing the next step. Really glad I read further positive reviews and did not let the erroneous ones dictate my choice in trying out the game. Rated 5 out of 5 by Stubborngit from JFK story lovers.............. 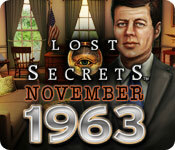 If, like me, <YOUR> into the history of JFK and November 1963..... this is the game to put your theories aside! Your involved, with "the man himself", in a twist of fate and history. Your not there to solve what actually happened, that is a side issue in this game. JFK talks to you and advises you in the 'twist' around ANOTHER major player.....and their family. Without spoiling the game. I found it rather good to see some of the things that happened on that fateful day and to have a different view...even if it is only the game makers ideas. I really enjoyed the game. I hope you do too. Rated 5 out of 5 by Kimmer70 from Definite Buy I agree totally with the first review of this game. Great change from the same ol' same ol', great graphics and very intriguing storyline. I'll be buying it asap. Rated 5 out of 5 by princessfurbee from Fun and Informative Game I remember that day in Dallas like yesterday. 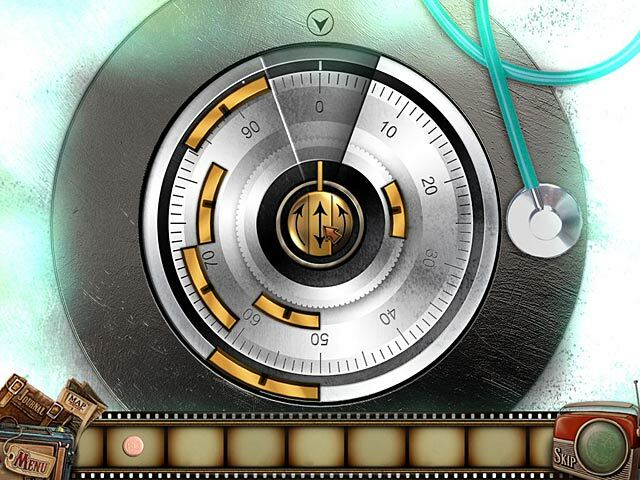 This game has some new puzzles which are very fun and it does have a map which teleports. The hint system will also direct you to the location you need to be. I love the storyline (anything to do with the Kennedys I'm hooked). I highly recommend this game. Rated 5 out of 5 by Kiandi from Lost Secrets: Will we learn the "secret" of what really happened on the Grassy Knoll Wow! Love this developer and I've always been intrigued by the JFK Assassination. What a perfect combo for me! 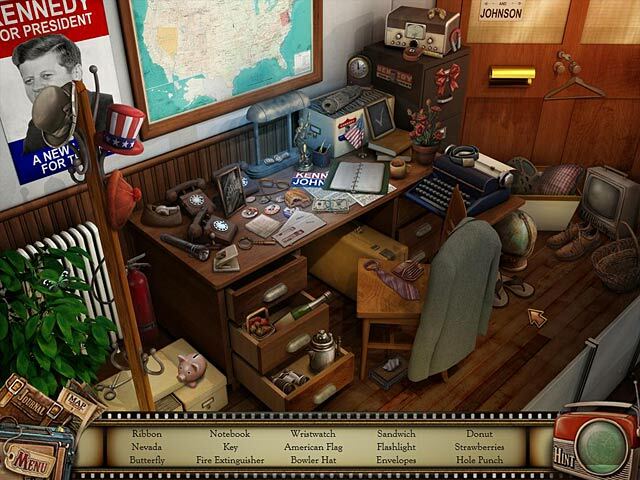 First off the graphics are clear and colorful.The puzzles are fun and the storyline is gripping. I totally recommend this game! Rated 4 out of 5 by denniann2 from a short but enjoyable game i took a star for length. it was short and i would have liked it to be longer. the hint/skip charged about what you would expect. there is a journal, and a map. the hints hand-hold you. i didn't even realize until i started playing that this will be the 30th anniversary of john f. kennedy's death. there are some scenes that are the original news footage of that day and other days. it was really interesting. i completely enjoyed it and just wished it could have longer. Rated 4 out of 5 by sirrap21 from Not too bad, if not taken too seriously. [SPOILER] I remind myself: ITS JUST A GAME. It's not like we're taking cyber-guns and making popshots at JFK! i see that most folks here are apalled that someone would design such a game. I'm a fanatic when it comes to researching historical data so when I saw this HO game listed I just HAD to check it out. The storyline isn't about JFK perse, but the woman crusading the mystery of her mother when she was a child surrounding the events of Kennedy's assassination. The assassination itself is more of a backdrop for the character in the story. All and all this game, not #1 on my list, but fairly entertaining as I oppose some storylines about the 16th & 17th centuries and prefer more modern HO/TM games. I wish people wouldn't get so hung up on thinking this game is poking fun at one of our nation's most beloved presidents. This game is a much better concept than the latest movie that's out which is about Abraham Lincoln returning as a vampire! I'd say give this game another chance. Good day! Find the clues, solve the mystery of November 1963.